Learning to drive with Steve has been an absolute pleasure. I was apprehensive about learning to drive for various reasons, but one such reason was nervousness about the potential of not getting along with an instructor, or not feeling like I was being taught well. One lesson with Steve, and the prospect of anything like that was dispelled immediately. Steve is the consummate professional, who has clearly seen it all with regards to students (and all the mistakes they can make!) and it showed. Nothing I did seemed to fluster or frustrate Steve, and that made learning to drive infinitely less stressful. I always looked forward to my lessons, knowing that it would be light-hearted and fun. As an instructor, Steve was patient, thoughtful and considerate, and was acutely aware of when there was a particular manoeuvre I was struggling with, and had a range of approaches and techniques to teach me to overcome such struggles. felt like I learned to drive very quickly with Steve, and he imparted to me such a range of little tips and tricks that I will keep with me whenever I drive and that will make me a safer driver. I am very grateful for Steve’s tuition! The LDC materials were a useful supplement to Steve’s tuition. The flip book of manoeuvres he used to teach me was a great way for me to learn rules and hazards. Steve would give me chapters of the book to read before the next lesson which meant I could anticipate and prepare for some of the more advanced (and daunting) parts of learning to drive. Periodically, we would mark my progress in the book, which was a great way for me to keep on track of where I was doing well and in which aspects I needed to focus on more – this was especially useful for test preparation. Overall, the book was a great addition to my experience. The website was a useful way to keep track of lesson times (and changes), and Steve always kept it up to date. As I had passed my theory before starting with LDC, I did not need to use any other online materials. 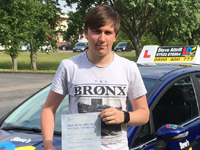 However, LDC is a company I can happily recommend, but Steve is an instructor I will definitely recommend. Thanks again, Steve! The workbook was a great tool to use before and after lessons to learn and solidify knowledge before getting in the car and each lesson could also be well adapted to the learner’s personal requirements and home area. My instructor worked great for me. 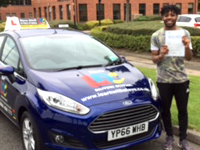 He was very knowledgeable and professional and a calm presence in the car when learning. He explained things well and made sure all areas of the test were well covered and practiced in time for my test, despite the short time-frame of my semi-intensive requirements. I was a first time driver and passed first time within 16 days and 30 hours of lessons. 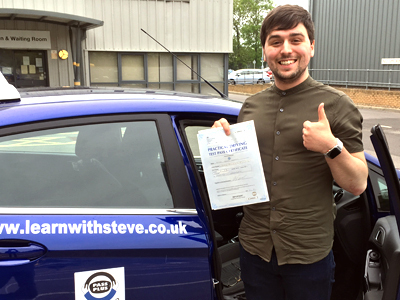 Steve is a fantastic instructor as when had him for a couple of lessons l felt that l was being taught how to drive rather than being told. 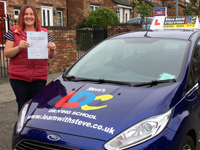 Steve's approach to helping through situations is incredible for example when l had my lessons with Steve I could not do manoeuvres so what he would do is make me try first and inform me where I could improve rather than taking control and making me feel pressured and uncomfortable. He would also make suggestions after the lesson what to improve which helped than thinking just cause you have done a manoeuvre once or hill start that’s it, he would recommend some videos to watch so in that you more from not being in the car but in your time as well which meant you can progress and learn more. I found Steve to be very friendly and approachable. He was very patient when explaining manoeuvres and techniques and didn’t mind lots of questions. Time was never wasted and Steve was very encouraging and provided helpful feedback on how/ where to improve. 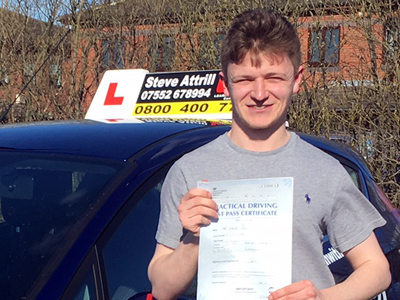 I'd say that the Ld system works well and is an enjoyable way to learn to drive and Steve is easy to talk to and has good conversation which makes it all a lot easier. Driving was something that I had always wanted to do but worried me because of the dangers involved. My instructor Steve and the LDC system changed this view within a few lessons. Steve made me feel at ease when first driving and always had s laugh on which helped with the nerves I felt. The LDC theory resources are perfect, I practiced my theory with them for a few weeks, went in to do my theory test and passed, my instructor had also helped with this as there were some things we has went over which popped up in the test. The DVD I was given was great and helped with my manoeuvres, it was very clear and precise. The workbook also helped a lot as it meant I was able to reflect on lessons, plan what I wanted to do in upcoming lessons and read the sections before doing the lesson to know what I expected. 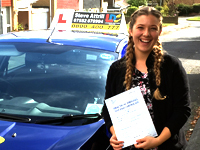 The LDC system is fantastic and I'd recommend LDC to anyone looking to start driving! Thank you Steve and LDC for teaching me to drive. I now feel confident behind the wheel and cannot wait to get my own car in the future. Anyone need an excellent driving instructor based Gateshead way? Steve's you man.